Moreover, says the Credit Federation of America (CFA), more than 25 percent of respondents in a recent survey did not know that a low credit score could increase the cost of a car loan by $5,000. More than half didn’t realize that utility companies, cellphone companies, and even insurers sometimes check credit scores before issuing services—or that multiple inquiries in a short time, as when you are shopping for a loan, are treated as one inquiry in order to minimize the impact on your score. All your credit scores are not the same. 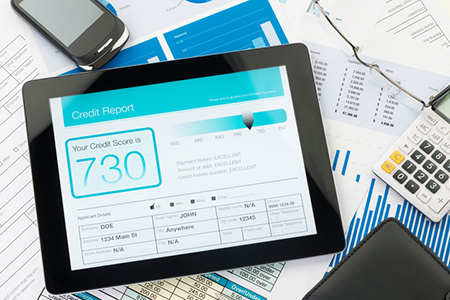 Most people assume their credit score is a single three-digit number, but each of the three major credit bureaus (Experian, Equifax, and TransUnion) scores you differently, since they don’t necessarily have the exact same data in their files. Closing old accounts will not necessarily boost your scores. Closing old or inactive accounts may inadvertently lower your credit score because now your credit history appears shorter. If you want to simplify, close newer credit accounts first, or put the cards away so you don’t use them, but your credit history stays intact. Paying off a bad debt will not erase it from your score. Once a debt goes to collection, or you’ve established a history of late payments, you will deal with the consequences even if you pay off what you owe. It will show as paid, but it is not erased. Also, while your score will get a boost if you pay off an old debt, it may not be by as much as you think. The best way to increase your scores and keep them high is to make payments on time every month over the long haul. Co-signing for a loan impacts your scores. When you co-sign for someone else’s loan, you are responsible for the debt—and if the person your co-signed for does not pay, your credit score will be impacted.